Peter Dugan | The Chamber Music Society of Lincoln Center. Pianist Peter Dugan’s 2017 debut solo performances with Michael Tilson Thomas and the San Francisco Symphony were described by the Los Angeles Times as “stunning” and by the SF Chronicle as “fearlessly athletic.” He has appeared as a soloist, recitalist, and chamber musician across North America and abroad. Prizing versatility as the key to the future of classical music, Mr. Dugan is equally at home in classical, jazz, and pop idioms. A sought-after crossover artist, Mr. Dugan has performed in duos and trios with artists ranging from Itzhak Perlman and Joshua Bell to Jesse Colin Young and Glenn Close. The Wall Street Journal described Mr. Dugan’s collaboration with violinist Charles Yang as a “classical-meets-rockstar duo.” Mr. Dugan’s recent chamber music recitals include the Chamber Music Society of Palm Beach, Music at Menlo, St. John’s College Recital Series, and a Weill Hall debut presented by Carnegie Hall. His debut album with baritone John Brancy – A Silent Night: A WWI Memorial in Song – pays homage to composers who lived through, fought in, and died in the Great War. 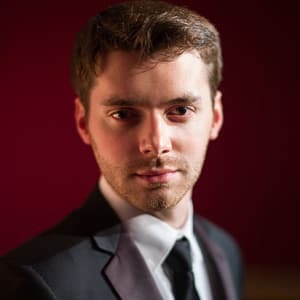 Brancy and Dugan won first prize at the 2018 Montreal International Music Competition and second prize at the 2017 Wigmore Hall International Song Competition. Mr. Dugan advocates the importance of music in the community and at all levels of society. As a founding creator and the pianist for Operation Superpower, a superhero opera for children, he has travelled to dozens of schools in the greater New York area, performing for students and encouraging them to use their talents – their superpowers – for good. Mr. Dugan holds Bachelor’s and Master’s degrees from the Juilliard School, where he studied under Matti Raekallio. He resides in New York with his wife, mezzo-soprano Kara Dugan, and serves on the piano faculty at the Juilliard School Evening Division. Mr. Dugan is a Yamaha Artist.